HAPPY NEW YEAR FROM THE BSO TEAM @ THE DIANA AWARD! The Be Strong Online Ambassador Programme is a programme developed by The Diana Award. The first monthly blog of 2019 will feature information about Safer Internet Day, updates from the team, Spotlight School of the Month and much more! Read on below. The theme for this year’s Safer Internet Day is: Together for a better internet. How will your team of Be Strong Online Ambassadors be helping inspire a national conversation about using technology responsibly, respectfully, critically and creatively? Stuck for ideas? Check out the UK Safer Internet Centre’s page for Educational Resources, Campaign Toolkits and much more! Perhaps you could use the day as a perfect opportunity for your Be Strong Online ambassadors to shine! They could run one of the 40+ activities from the 10 BSO modules during form time or deliver an assembly to the school on one of the 10 themes that the Be Strong Online programme is broken down into. At The Diana Award, we’ll be supporting SID 2019 by promoting and sharing online safety tips via our social media channels and our blog as well as videos on online safety. We’ve now trained over 3000 Be Strong Online Ambassadors since we started delivering the programme in 2016/17! Your ambassadors are part of this growing network of students who are using this peer to peer approach to educate their peers on digital resilience. In the last blog, we told you about our nomination for the #SaferInternet4EU awards – a European contest to reward high quality resources and inspiring initiatives pursuing ‘Better Internet for Kids’ objectives. Maya from the Be Strong Online team travelled to Brussels to attend the Safer Internet Forum and to find out the result – we were delighted to be awarded runner-up in the organisation category! By doing this you could become our Spotlight School of the Month in a future Be Strong Online blog post! 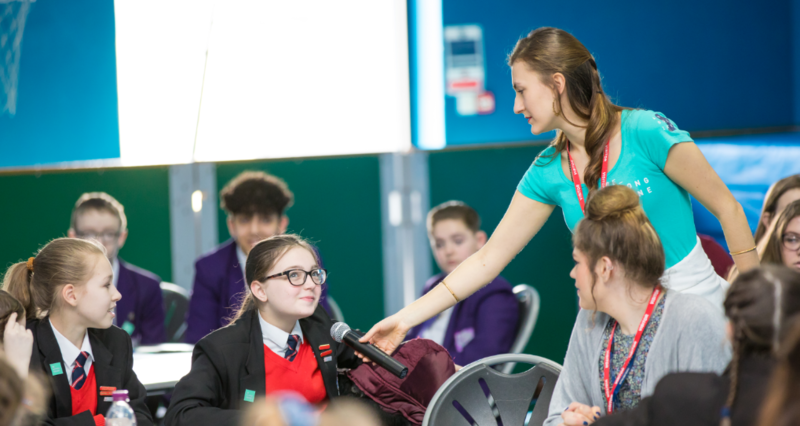 We’ve had so many great updates from schools up and down the country about the amazing work that their Be Strong Online ambassadors are doing. We struggled to choose just one Spotlight School of The Month that we worked with in 2018 so, for this month only…. we’ve chosen 4! The Ballyclare BSO Ambassadors kick started their work by delivering the Cyberbullying module during Anti-bullying week reaching 125 pupils. The ambassadors also conducted a school wide survey and in response to feedback from this, they have created a video which focuses on the importance of being an ‘Upstander’ online. The Penrice BSO ambassadors have delivered an assembly to all of the year 7s introducing the team and focussing on ‘Real Friends vs Online Friends’. They will also be delivering the Social Media module to all year 7 and 8 tutor groups – a total of 581 students…. phew! 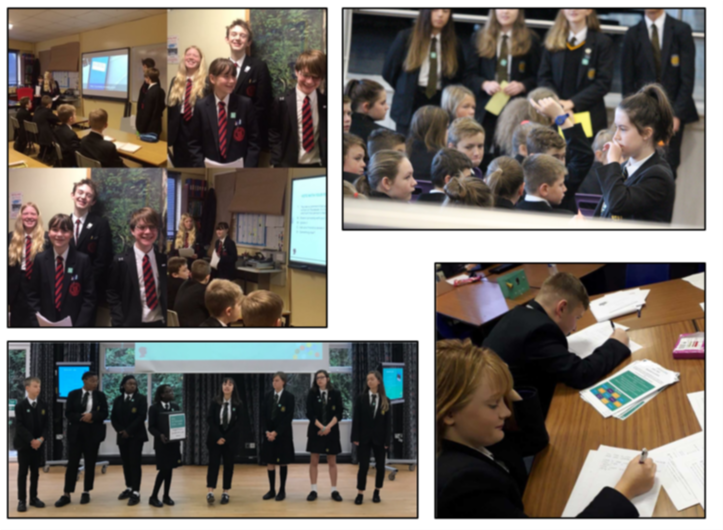 The Thomas Estley BSO ambassadors have made sure that their activities cover all aspects of school life – they have delivered a presentation at a Parents Forum meeting updating them on the Be Strong Online programme and what they wanted to achieve within the school. 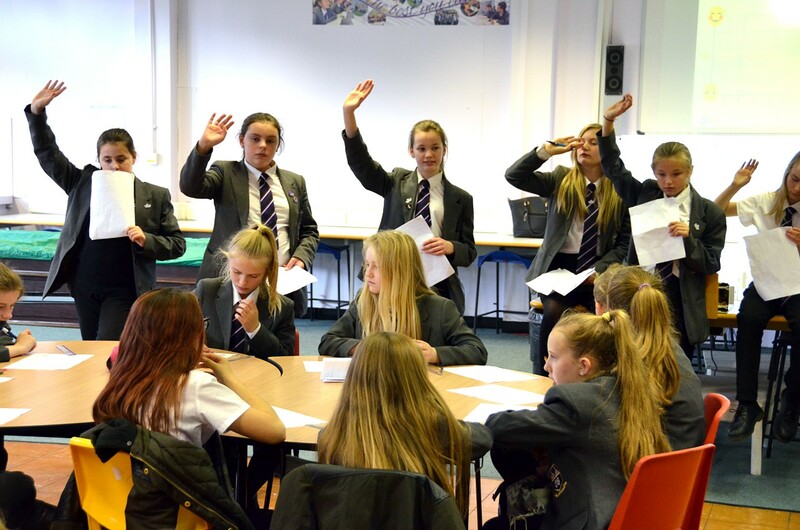 They have also delivered workshops during Anti-Bullying week to years 7-11 using activities from the Peer Pressure Online module. Well done! The St Thomas More BSO Ambassadors have been raising their profile throughout the school in various ways including delivering an assembly to each year group. 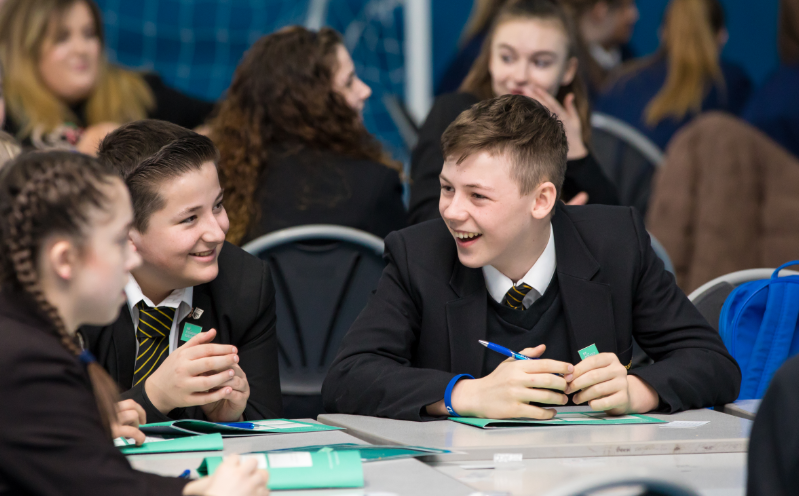 They have delivered the Selfies and Self-esteem module to year 10s in their school and have met with Heads of Year to see how the BSO modules can fit into the PSHCE curriculum. This is a great way to ensure that the BSO resources are used and embedded in the curriculum. Well done for all your hard work! We’ll see you here next month for more updates from the Be Strong Online team!